When you’re awesome at something – at anything – you don’t really need to talk about it too much. It will show. Imagine visiting a doctor who, throughout your appointment, constantly reminds you that they are a doctor, that they studied medicine and that they really know how to heal the sick. Imagine a cook who constantly tells you how good their recipes are, who steadily claims to never ever use frozen ingredients, and who often reminds you they trained with the greatest chefs in Europe. Imagine a world leader who constantly brags about how ALL the people love them, how they have the best policies & platform, and how they have the highest approval rates in history. Now let’s make this relevant to REALTORS®. If any of these people showed up at your cocktail party, their attitude would quickly ruin the whole fun vibe. But Sepy, what does this have to do with Social Media ROI? And the survey says ——–> everything. Sometimes we forget that social media is not a whole other dimension – it’s actually just an extension of our offline world. The way we behave on social media is a true reflection of the way we behave in real life. In everyday life, are you the type of real estate agent who only brags about themselves and their accomplishments, or do you provide value to your clients and community as well? Am I publishing some of that content, but ALSO engaging with and providing value to the online people authentically? The truth is, you don’t make friends – physical or digital – by bragging about yourself. Yes, people want to know about you and what you’re up to, but typically you make friends by engaging with people and providing them value in some way that resonates with them. Food for thought: Making connections online follows the same principles as making connections offline! In January 2018, Facebook revealed that they would be changing their algorithms to show engaging posts higher up on the news feed. In doing so, they would effectively be changing the ‘signals’ they have been using for years to identify content that is considered “engaging”. DID YOU CATCH THAT?? HE SAID LESS POSTS FROM PUBLISHERS, MORE POSTS FROM CONNECTIONS!! It’s all quite simple, really: become more connected! Your new real estate marketing strategy on social media NEEDS to be heavily weighted towards ENGAGEMENT and AUTHENTICITY, not so heavily on publishing… Publishing: bad, Engagement: good. Hopefully we’re on the same page with regards to the importance of engagement in 2018 and beyond. Now let’s cover some actual tactics and ideas you can use to increase your authentic engagement, thus increasing your visibility online and ultimately your social media ROI. Maybe this sounds like a no-brainer to you, but in so many cases when I see REALTORS® on social media, they are simply not interacting. Most of you use the platform to publish, publish, publish… then you wonder why nobody is commenting on or reacting to your content. At the very least, when someone comments on your post, respond to their comment. Try to use your response to open up the conversation… ask more questions, get them talking! Our Ninja pal, Craig Veroni, creates engaging video content and makes sure to have authentic dialogue with his followers. Be like Craig. However, if you’re willing to go the extra mile I recommend rolling up your sleeves and spending some time each day digging through hashtags and commenting on peoples’ posts. Genuine comments, not some copy/pasted generic message. Don’t use an auto-responder either. Spend the time to do it right and you will see the return on your time investment quickly. And this doesn’t just stop with individuals using Hashtags – every local business in your neighbourhood has a social media channel. Pick your favourites and spend some time each week commenting on their posts. 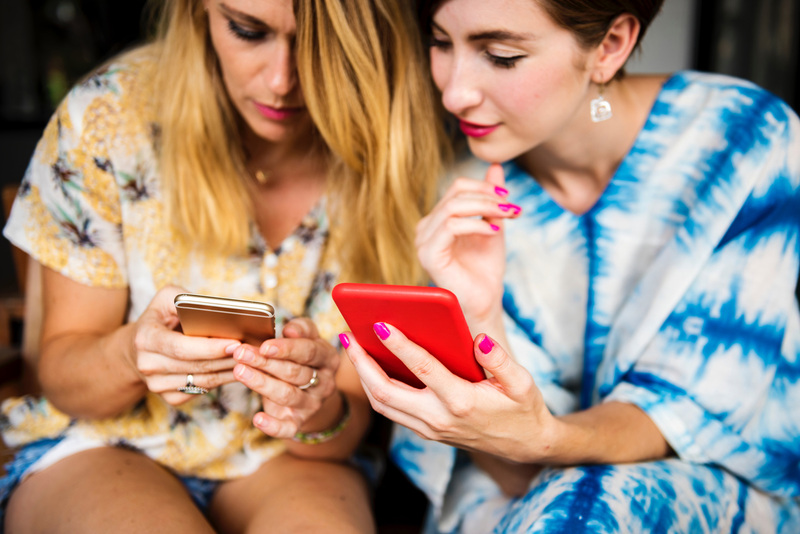 Not only does this connect you with another local business, it also puts your brand in front of other followers of that business. Make sure your name or your real estate brand are appearing all over town on social media, not just on your own social media profile. TACTIC 2) Use the LIVE video feature on Facebook, Instagram, etc. Wherever it’s applicable, use live video to promote your business. Don’t be shy or scared, nobody is going to mock you if you say “Umm” a couple times – and if you don’t start you will never get better. Discussion is what you should be striving for. When humans love something, usually algorithms follow.... and humans LOVE live video streams. Discussion is authentic, it’s real, it’s engaging and it’s what social networks care about when ranking your content. Discussion is what’s going to get you to the top of the news feed ASAP. Oh and by the way, the discussion doesn’t end when the live video ends… that video sticks on your brand page forever, and in some cases can drum up brand engagement for years to come. I am not the biggest fan of talking on the phone, but I will do it all day if it means growth for RealtyNinja. Sometimes in business, you have to do the uncomfortable things that you don’t love doing in order to grow. Drop the irrational fear of being on Live video – dive right in head first and let people talk about how awesome you are in real-time. When I started working in digital marketing in 2009, I was working for Earls Restaurants HQ in North Van. Back then, TRANSPARENCY was my prime recommendation for the company. Most brands were apprehensive, as this was a new concept – those brands who adopted transparency early were always successful online. Unfortunately, big brands were really shy and had a hard time deciphering how much of their internal process they wanted to show. I would have to go through 3 meetings with VPs just to get approval to tweet a photo of our team having some beers at the restaurant. Transparency has remained a constant on social media over the years, but so many other factors also became important since 2009. 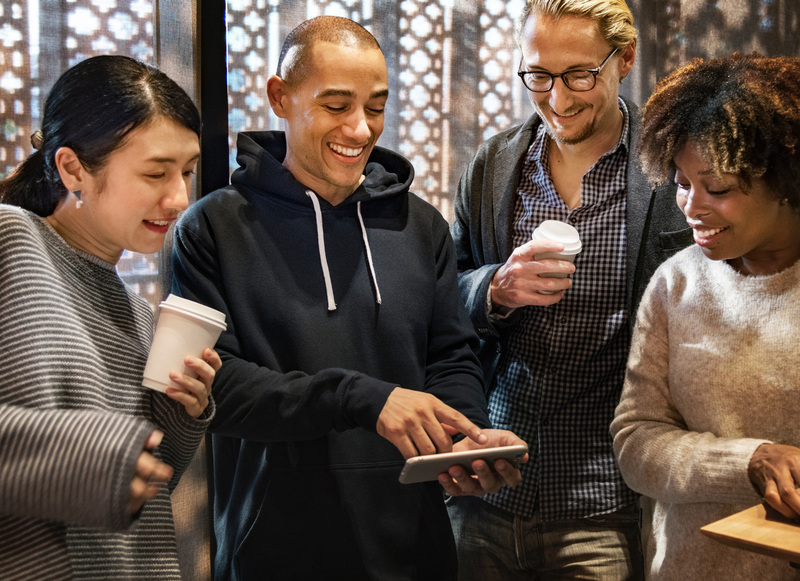 In 2018 and beyond we’re heading back to the golden days of social media, when showing the inner workings of a business means positive returns on your efforts. How? Because those transparent moments drum up a lot more conversation and engagement than, say, a new listing. Luckily for REALTORS®, you don’t need to go through meetings to get a photo approved. You are the CEO, and you have the means to be transparent in the palm of your hands – plus, you can do it with much higher fidelity and quality than you could in 2009. There are so many moments in the life of a community centric real estate agent that can be shared, that will drum up discussion and authentic engagement with your audience. Whether you’re posting something on your own brand profile, or going out into the social media world and engaging with other peoples’ content, try to evoke some emotional reaction. In Vancouver, the market is pretty crazy right now and home prices are way out of reach. 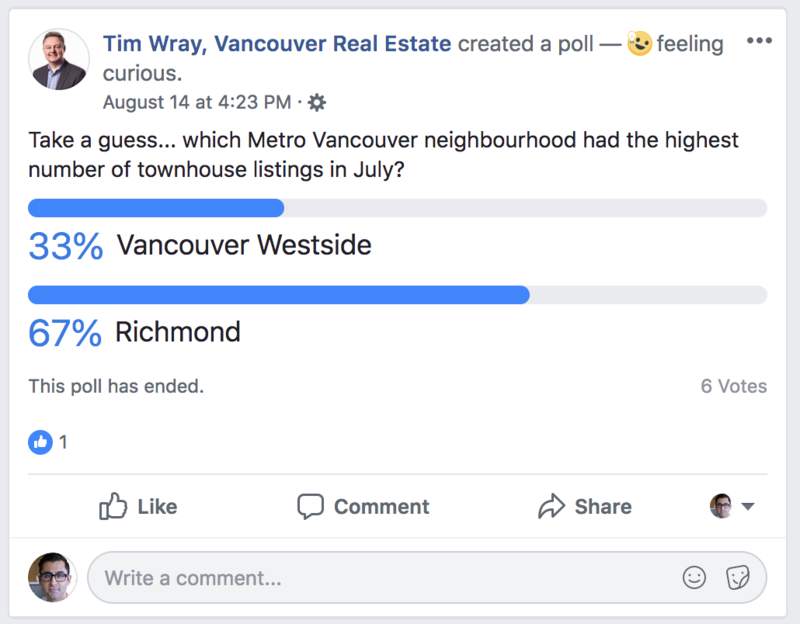 I’ve seen many real estate agents commenting on social media posts about these market conditions – in some cases being funny & witty, in other cases being stern & serious. In some cases, people react with the Angry emoji to those comments (maybe they disagree!) In other cases people react with the Haha emoji, or with the Love emoji. Regardless of what reaction they use, it’s still evoking emotion – therefore it’s more effective than a basic like. Consistency with these sorts of comments will start earning your brand a stronger reputation and higher clout on the social network. 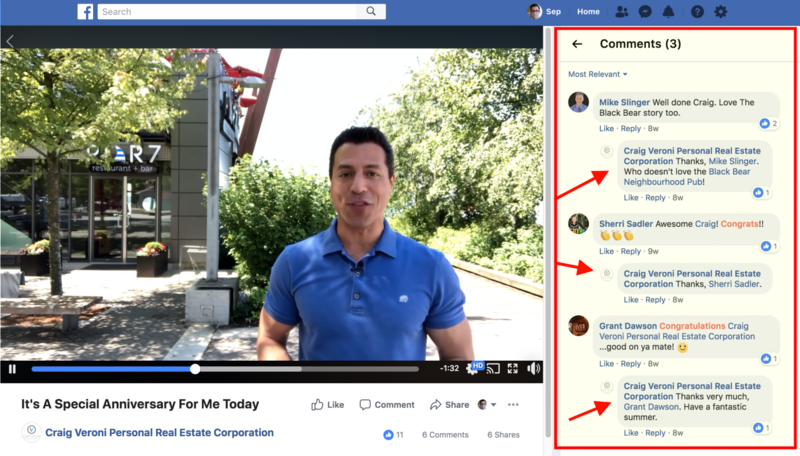 That’s just one example – in other cases, REALTORS® post content on their own profile that evokes some sort of reaction. That’s excellent as well – the sign of content people care more deeply about. 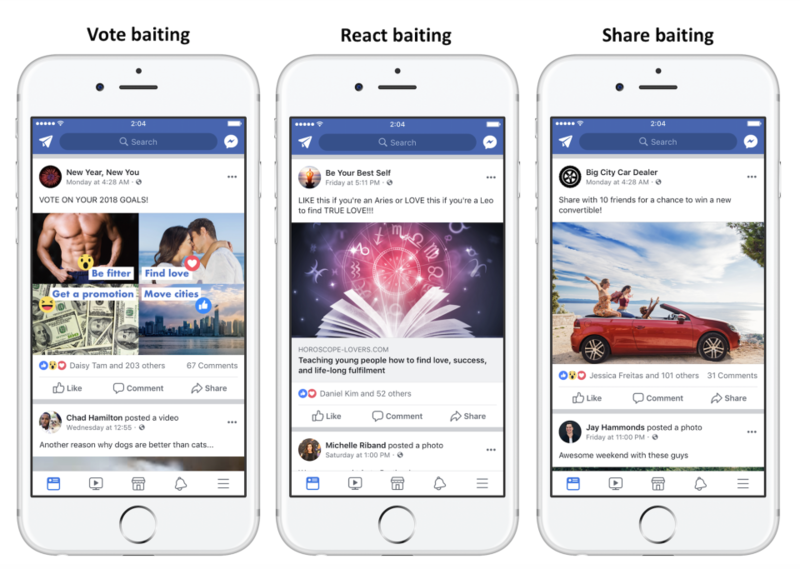 That being said, there is one caveat to be aware of, and it’s called “Engagement Bait.” Facebook defines engagement bait as content that goads people into commenting or reacting to your post which results in a non-meaningful interaction. At all costs, avoid publishing content that says something to the effect of “LOVE this post if you have ever used a REALTOR®!” – this will ultimately hurt your brand. TACTIC 5) Ask, ask ask, then ask some more. While being super careful not to fall into the “Engagement Bait” category I just mentioned above, you need to ask your audience stuff. Ask them questions. Ask them what they think (people LOVE sharing their opinion online.) Ask them to respond to your Poll. Ask them to watch your next video. Ask them what your next blog article should be about. Heck, ask them to ask you something! ASKING is the crown jewel of social media engagement. If asking questions online were prohibited, the entire internet would be a much more boring, selfish and desolate place. From now on, keep your eyes peeled for posts online with tons of comments, and see how many of them ask people a question. Use the Poll Function to get quick engagement on your Facebook page. Anybody who spots that post is instantly going to look at your listing photo with a different cap on. They won’t be thinking “Another REALTOR® promoting themselves,” instead they will look at the photo for longer and even if they don’t comment, they will likely contemplate the question in their own mind. This is a win – you’ve just engaged a potential client’s mind using social media. If they comment, even bigger win. Let’s put it this way, how often do you ask someone a question IRL and their response is just a blank stare, with no thought process behind it whatsoever? Probably not very often. No matter what you’re sharing, try to make a point to add an intriguing question at the end. Sometimes the question will be the whole post description, sometimes it will come after a few paragraphs. When you’re making videos, you might just ask the question directly to the camera! There are lots of ways to ask questions, and lots of questions to be asked. Get creative, and implement this tactic into your 2018 (and beyond) real estate social media strategy and you’ll start seeing the results pretty immediately. Social media is an ever-changing, always evolving creature with a mind of it’s own. It’s important that you’re always evaluating what you’re doing, measuring the success of your strategy, and pivoting when necessary. Don’t be discouraged if you haven’t been “doing it right” all this time. It’s never too late to get going. And one more thing, there is nothing inherently wrong with REALTORS® publishing content on social media. Publishing on social media is important… it’s half the game! The problem lies in EXCLUSIVELY publishing, without being part of the other half of the game – the conversation, discussion, and authentic engagement on social media. Find a healthy 50/50 split between publishing and engagement, and you will see major ROI for your online marketing efforts.